The difference in electricity bills between providers can be astounding. AN OFFICIAL analysis of electricity rates has revealed shopping around can save a family $600 a year. 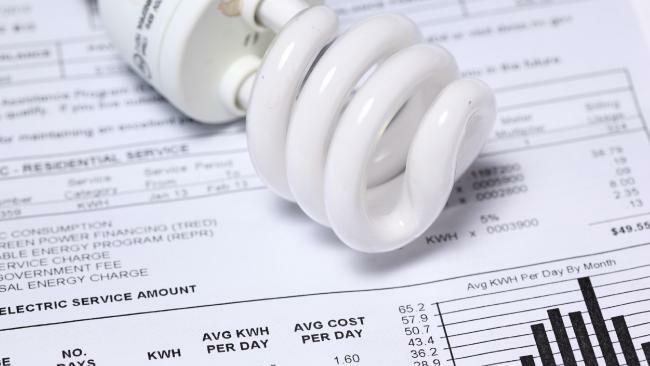 The Queensland Competition Authority was ordered in December to dissect the plethora of confusing rates and discounts offered to southeast Queensland customers, after the Labor Government made a state election pitch to bring down power bills. The report found Alinta had the best deal for households in the October to December 2017 quarter, while small business paid the best prices with QEnergy. Alinta Energy's Home Saver Plus offer came in at just $319 for an average household using 1022kWh a quarter. Although it wasn't the lowest fixed charge among the 19 retailers, a 25 per cent discount for paying on time and in full made it the cheapest offer. That compared to the highest standing offer of $466 from QEnergy, meaning families could save $588 a year by switching. For small businesses, QEnergy's Flexi Biz 17 Single Rater offer was the cheapest at $461 a quarter despite offering no special discounts. 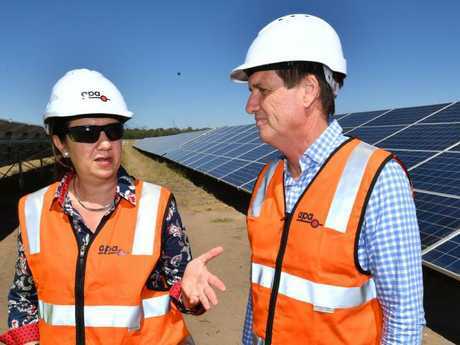 Premier Annastacia Palaszczuk with Energy Minister Anthony Lynham at a solar farm. A typical small business using 1595kW hours a quarter would save $1072 if they switched from ERM Power, which had the highest standing offer at $729. Energy Minister Anthony Lynham ordered the review, which will continue to compare bills through to June this year. 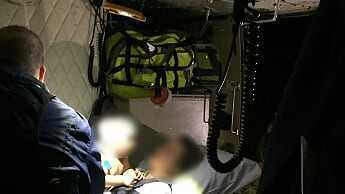 It follows a $300 million Palaszczuk Government election plan to reduce electricity costs, including a $50 cut to annual bills by returning dividends to customers. "SEQ electricity retailers signed up to our Affordable Energy Pledge late last year, and we commissioned this regular investigation by the QCA to keep an eye on how that's going," Dr Lynham said. "Retailers pledged to pass on all the savings to consumers that the Government is making in our publicly owned electricity system. "We are watching to make sure that the benefits of those lower prices, and our other measures, are passed on to consumers."